He congratulated the ICFAI Law School, Hyderabad for organizing the seminar to deliberate on the emerging issues to bring about changes in the legal education system. Justice Chelameswar speaking at the seminar organised by ICFAI. 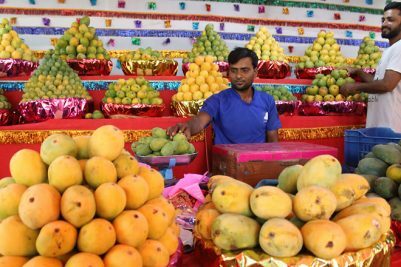 Hyderabad: Justice Chelameswar, Judge Supreme Court of India said the legal education system has witnessed a paradigm shift. 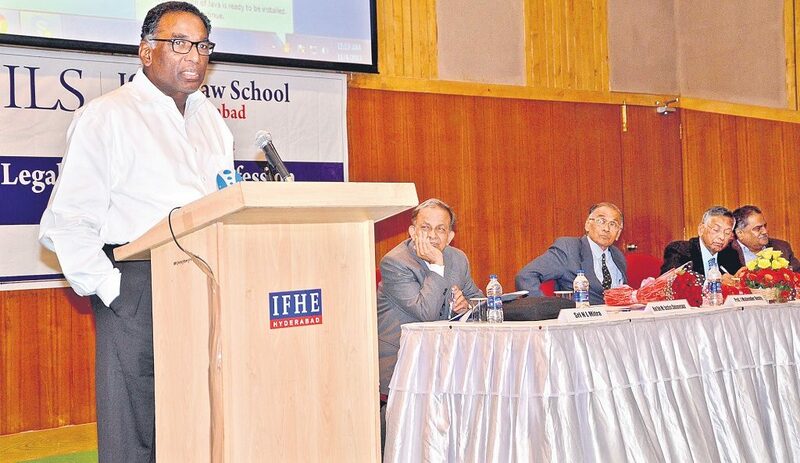 Speaking at a one day seminar on ‘Legal Education and Profession – A Convergence today’ at ICFAI University here, Justice Chelameswar said advancement of technology has proven that the need to have a photographic memory to make a good lawyer has become redundant. He highlighted that present legal education system and its adequacy to train students to bring out the proposition of law to the facts is to be constantly achieved by the law schools to meet the emerging challenges of the legal system. He further stated that legal education should be designed in such a way that students be trained in areas which are desirable and new like environmental law, Intellectual Property Rights etc., suiting the needs of the legal system. The Supreme Court Judge mentioned that there were discrepancies in the qualitative and teaching methods across various law schools which are required to be dealt with in a suitable manner. Prof. N L Mitra, Former Vice Chancellor, NLSIU Bangalore, Venkataramani, Senior Advocate Supreme Court of India, Prof. J.Mahendar Reddy, Vice-Chancellor, ICFAI University, Prof. A V Narsimha Rao, Dean – ILS, Prof. Y R Haragopal Reddy, High Court Judges, Justice AV Sesha Sai, Justice Durga Prasad Rao, Justice Seethapathi, Justice Yati Rajulu, C.Rajkumar, VC, Zindal Global University, Keshav Rao, VC DSNLU, Senior Lawyers, Senior Executives from Grandhi Law chambers, Kochar & Co, Aditya Birla Insurance students and faculty members of ICFAI Law School also attend the event.